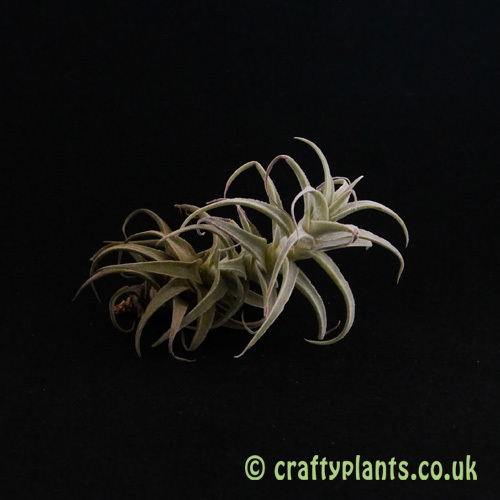 With its perfumed flowers, Tillandsia Purpurea is one of the more interesting looking air plants. 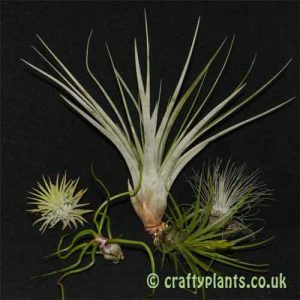 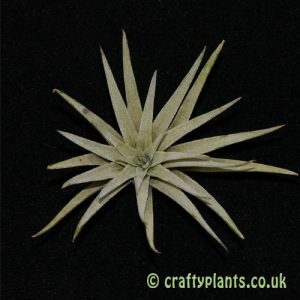 Native to the coastal deserst of Peru, this airplant prefers not to stay damp for long, light watering with plenty of air circulation is best. 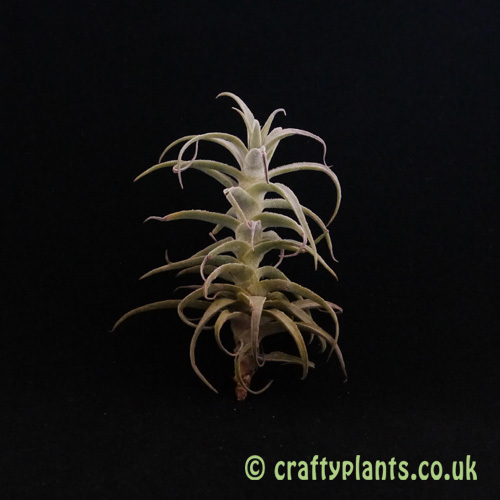 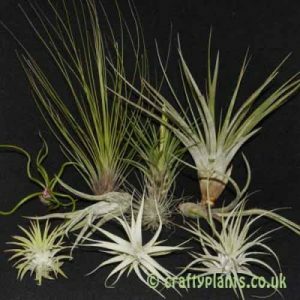 Tillandsia Purpurea can reach an impressive size, and produces masses of offsets. 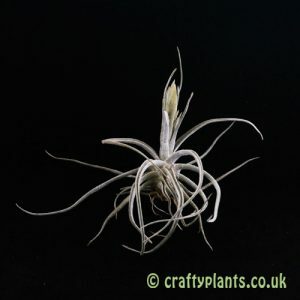 It’s purple flowers have a wonderful cinnamon-like scent.